The complex was designed by the architecture office GCA Architects, and it is destined to be an iconic feature of Barcelona’s landscape, next to Torre Agbar. 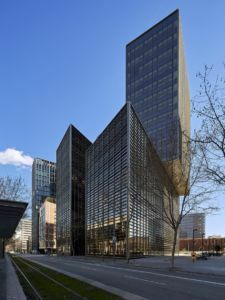 It is formed by two glass towers of 10 and 17 floors respectively, which reach a maximum height of 72 meters, closed by a central atrium. 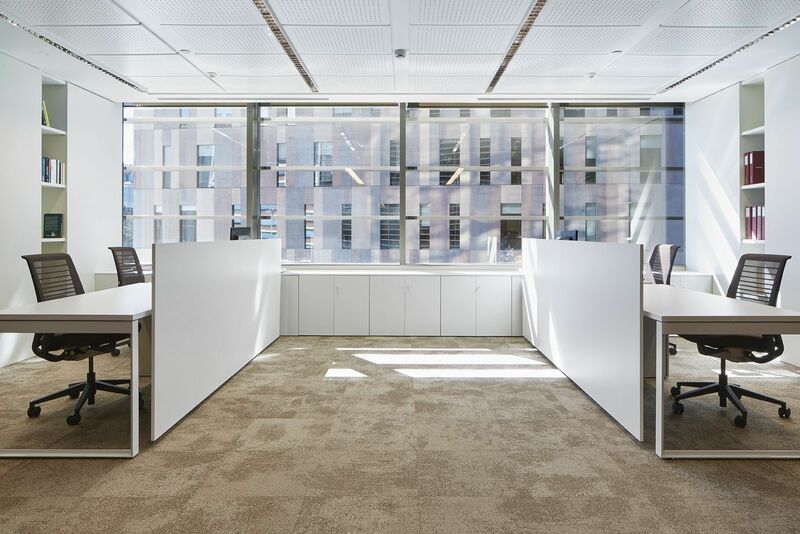 The new building has been built according to the highest sustainability standards and has earned the LEED Gold certificate.Each tower has a central core surrounded by large open space areas, partners’ offices and a variety of collaboration zones. 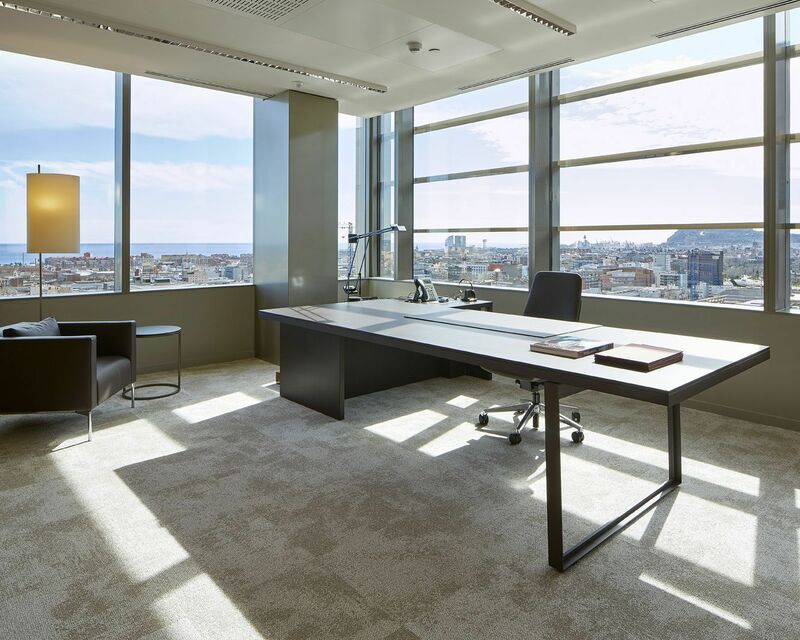 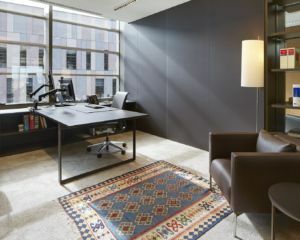 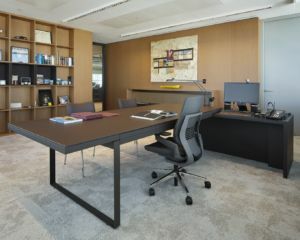 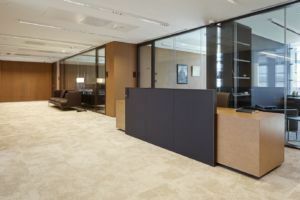 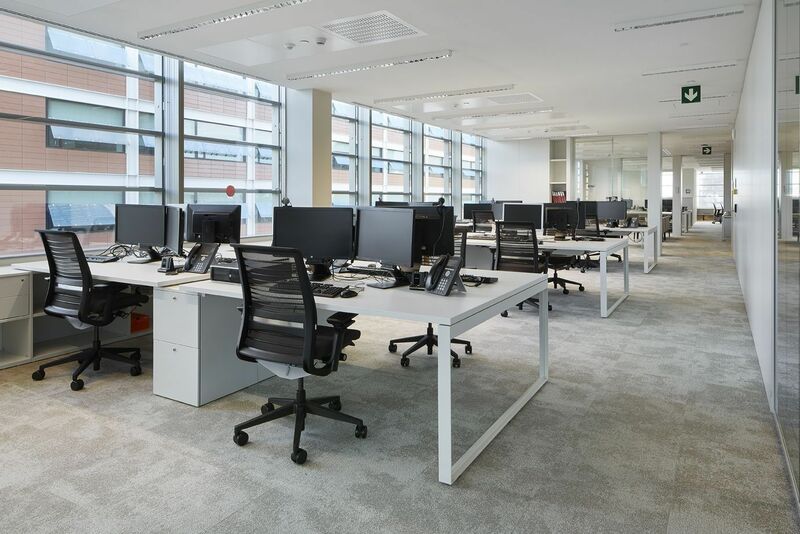 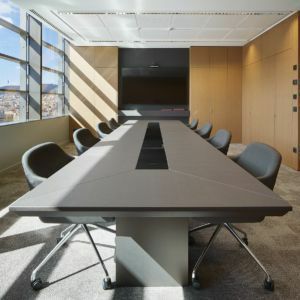 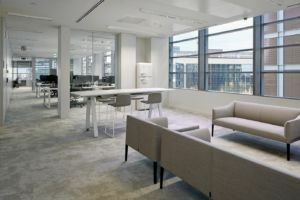 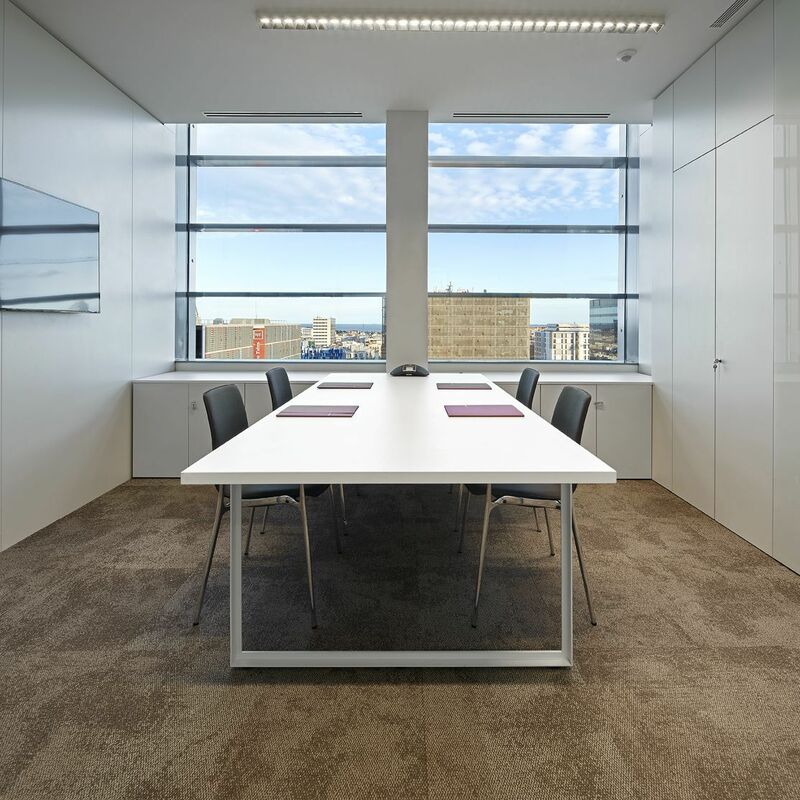 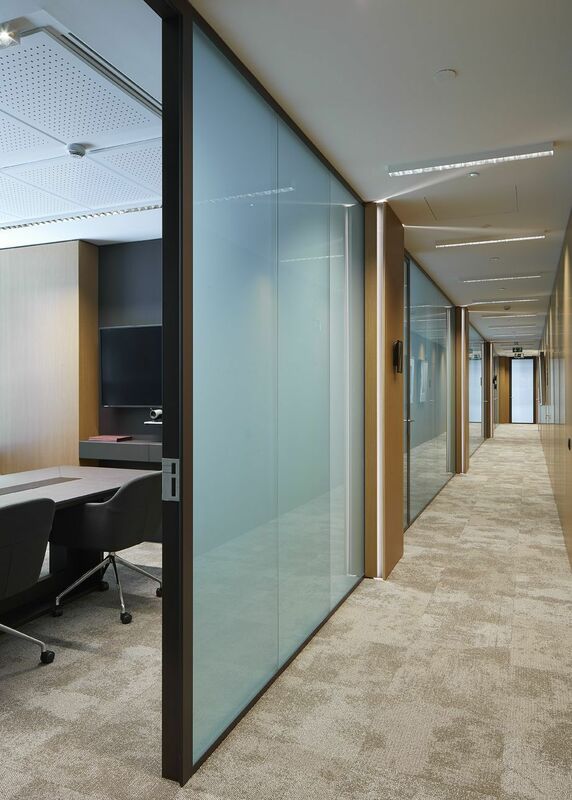 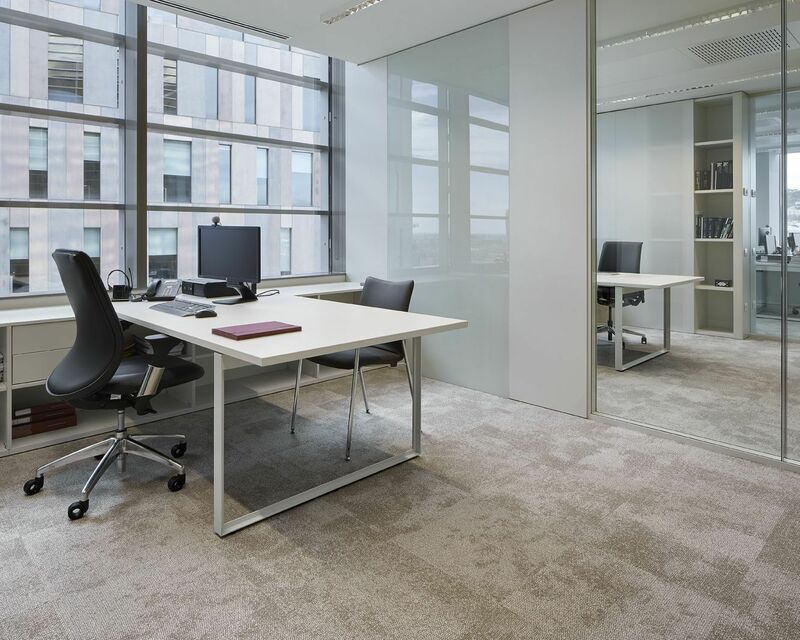 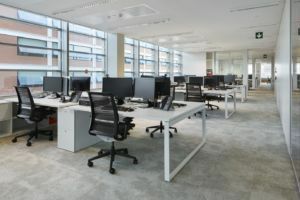 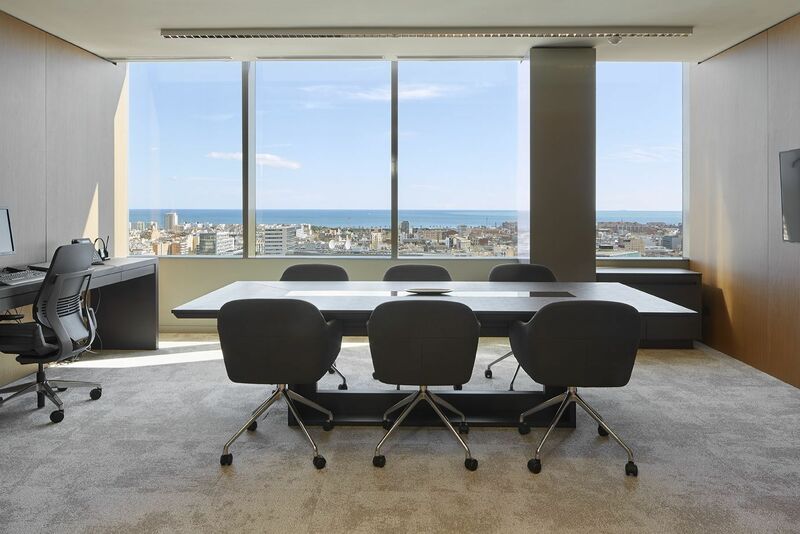 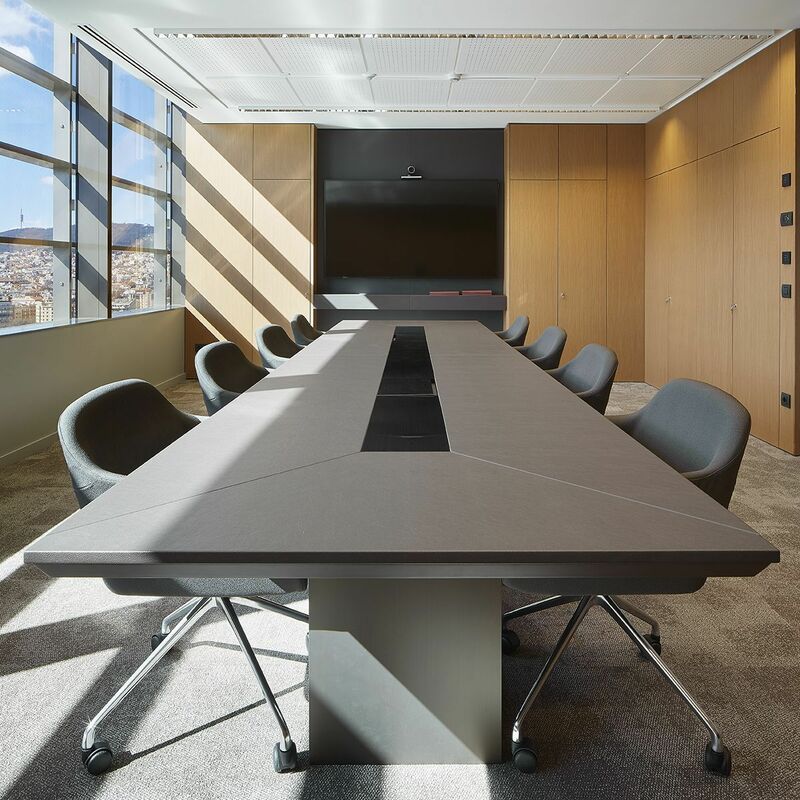 The furniture, designed by GCA Architects, includes perimetral cabinets with wire management channels upon which the different types of workstations are supported: partner desks, staff positions, secretarial desks, and larger unseparated tops with a leg exclusive to Cuatrecasas.